Stand Up For America! 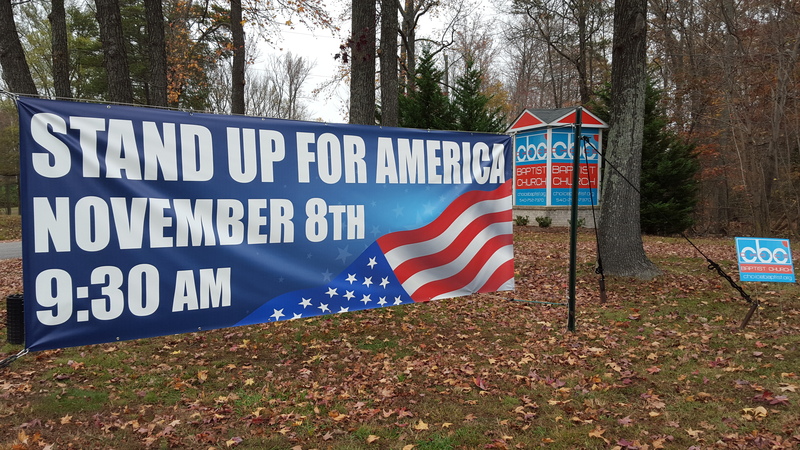 was boldly written on the church marquee at Choice Baptist Church in Fredericksburg, Virginia on November 8th as church-goers came to participate in a PrayUSA Sunday service. 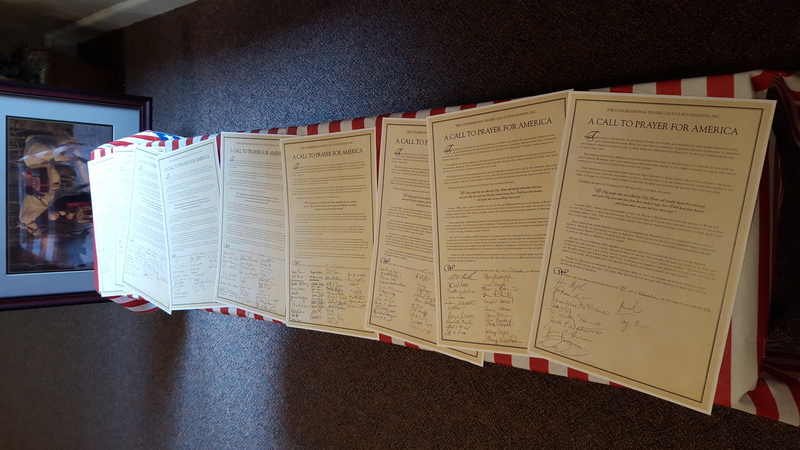 As the PrayUSA Movement is rapidly catching fire across all 50 states, an additional 267 signatures were boldly added to the Call to Prayer for America Proclamation. Signers committed to unceasing prayer for our country and her leaders, once again proclaiming that we are united under God. 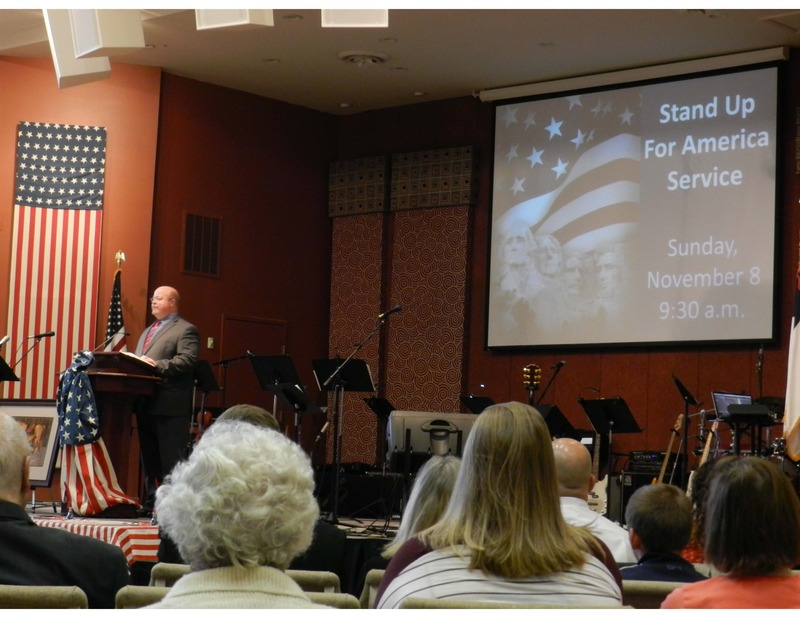 Mark Cole, a member of the VA House of Delegates, took the stage at the pulpit next to Executive Pastor, Tim Wilcox, in a collaborate effort to stir and awaken the hearts of the people. Together, they educated the congregation about the dire state of this once Great Republic we call home, and sounded the alarm regarding Christians in our own communities who are under fire for living out their faith in the public square. 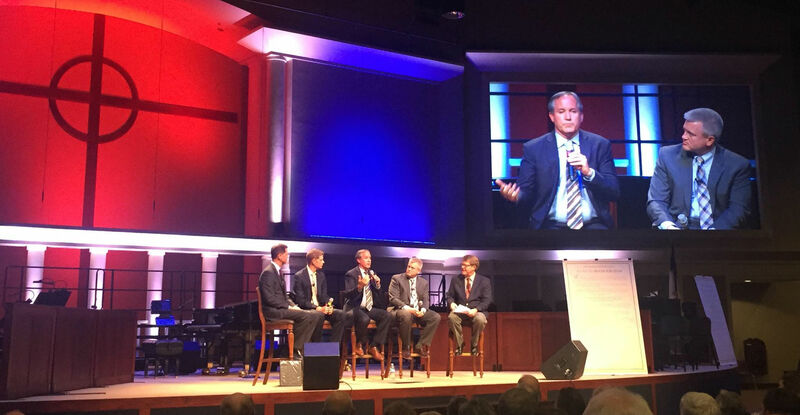 As Pastor Tim Wilcox stood side-by-side with a government official and a local businessman, their vision and mission for reforging the brokenness in America took precedence over title and position…only one purpose was represented on that platform- protecting our religious freedom and preserving our nation’s Judeo-Christian values through unceasing prayer. The church rallied together and joined their voices as one, and purposed in their hearts to join nearly 140,000 Americans who have committed themselves to pray unceasingly for our nation. Join over 900 government leaders who are spearheading this unprecedented movement – to call, equip, and mobilize the church to restore America! Don’t wait for tomorrow for someone to do what you can do today, join the movement now! A three-minute video and downloadable resource kits are available at www.PrayUSA.com. Everything you need is right there, including: instructions, bulletins, flyers, posters, a PowerPoint slide, sample emails, social media tips and much more! Will you carry the torch for this great nation?